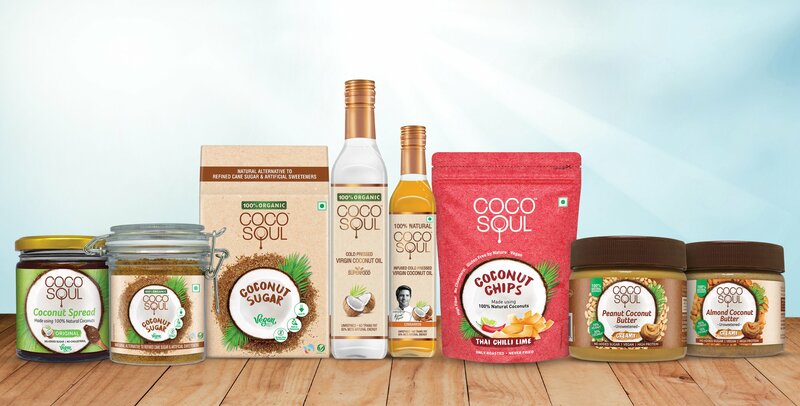 9th April 2019: Marico Limited, one of India’s leading FMCG majors has launched a range of Vegan Gourmet products under the brand name ‘Coco Soul’. The range includes 100% Organic virgin coconut oil, 100% Natural virgin coconut oil and 100% Natural Infused variants of cold pressed virgin coconut oil, and Coco Soul Foods which include Coconut Spreads, Coconut Chips and 100% Organic Coconut Sugar; all made using the Superfood coconut. The organic variants marks Marico’s first foray into the organic products space. Coco Soul Infused Cold Pressed Virgin Coconut Oil is expertly extracted with a ‘No-Heat Process’ or ‘Cold-pressing process’ which helps preserve vital nutrients, rich aroma and flavor of real coconuts. Being a rich source of medium chain triglycerides (MCT’s), the oils are easy to digest, thus providing an instant boost of energy, aiding digestion and helping weight management and supporting cognition. Chef Kunal Kapur has expertly curated three infused variants that bring natural flavor and aroma to many cuisines. The Coco Soul Infused Cold Pressed Virgin Coconut Oil – Chilli Oregano is naturally infused with the extract of hot chilli and delectable oregano, which acts as a perfect partner to salads and pastas. The Cinnamon variant is similarly infused with the extract of cinnamon and can be used in baking or as a top-up on shakes and smoothies. Infused with the natural extract of curry leaves and coriander, the Curry Coriander variant is best used to cook Indian dishes for an earthy aroma and palatable taste. Coco Soul Foods offer a range of products made with simple formulation and without any preservatives or artificial flavors. This includes 100% Organic low Glycemic Index (GI) Coconut Sugar, Coconut Spreads made of 100% natural ingredients without added sugar, high-protein Peanut Coconut Butter and Almond Coconut Butter made in an unsweetened form with 100% natural ingredients and high-fibre Coco Soul Coconut Chips made by only roasting without any frying. The foods offer a range of flavors or variants to choose from. Coconut Spreads offer Original, Sea Salt and Cacao flavours while Peanut Coconut and Almond Coconut Butters offer crunchy and creamy variants. These can be enjoyed with breads, paranthas, crackers or smoothies. The Coco Soul Coconut chips are made using 100% natural coconuts sourced from Thailand and are offered in four flavours- Thai Chilli Lime, Caramel, Original and Chocolate. These can be consumed directly as a snack as well as sprinkled on meals.